This post is late, over 3 months late! It should have been online on April 10th this was my birthday and the intended launch date of my new E-course 12 Roads to Online Success. So at last here it is better late than never. What is 12 Roads to Success? 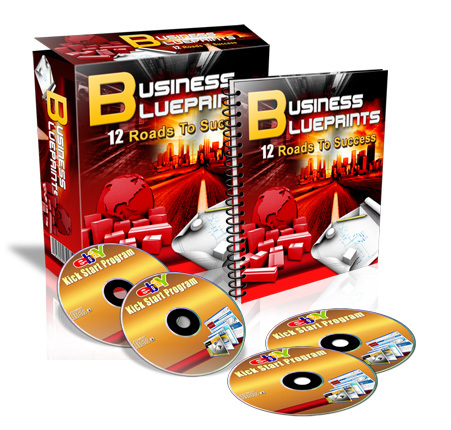 It is a new e-course that gives you 12 different Blueprints to kick start your online business the fast way. Each one follows a proven simple step by step formula that works in almost every market. Apply the simple step by step formula to multiply your chance of success. Some of these businesses can be started at NO cost whatsoever. The information in 12 Roads to Success is 90 pages of good solid content, no padding, no fluff. It shows you how to operate in niche markets and so eliminate most of your competitors, it is in niche markets that the real money is made. Best of all, I will show you how to run this business on AUTOPILOT working just a few hours a day. As he says it’s about work life balance, less work and more life. So here is the deal, 12 Roads to Success is not yet on sale, so I am going to run a competition to win a copy. All you need to do is to leave a comment under this blog post telling me why I should give you a free copy of this course before I release it, simple. I will be closing the competition on Thursday 22nd July. Good luck Rob……. I would love to win a free copy of your 12 Roads to Success plan, it’s sounds excellent and easy to follow. Anything that can be run on autopilot is exactly what I am looking for, I don’t want to spend hours upon hours sitting in front of my pc, automation is the key to success in my opinion. Hi Rob, what an excellent chance to increase my income. I know that your productions are quality and whoever wins this will soon be traveling along the road to success. Like Sally said, anything that can be automated really is the key to being successful. I’ve just sent a tweet about this as i think many of my followers will benefit from your offer. Your info is what I will term as on the regular nail, I personally think its a savvy two fold product, its a fresh concept as far as i`m aware? ’12 Roads To Success’ offers different Internet approaches giving more of an irresistible need/want to have product opening doors to more sales, for budding entrepreneurs! What can I say, a cornered market idea! Great to see you on the rise, take care….Ed. Hi Guys thanks for the comments, although there has been plenty of traffic to the blog post there have been very few comments. Anyway it will mean less competition for you guys! Sorry I haven’t been by your blog for a while…you know how it gets at product creation stage. Anyway just wanted to wish you all the best with your launch and I’ll do what I can to help get the word out about it…and having read it I know it will do well. Hi Steve thanks for the comments, it is all ready!! Will have the download page ready by thursday I expect 9my deadlines are always fluid!!) so look up for the e-mail. Better late than never. Your products are always top notch. I’m sure this will be a smashing success. Your products are always top notch. I’m sure this will be a smashing success.